Don and Wendy Lange are part of the California contingent who moved to Oregon from California to pursue winemaking. Wendy had a background in literature and ballet, and Don was a graduate of the Iowa Writers’ Workship and an accomplished folk musician and songwriter. Representing the second wave of winegrowing immigrants to Oregon, they bought a property in Dundee in 1987, and in 1988 planted 30 acres of Pinot Noir, Chardonnay and Pinot Gris at Lange Estate. 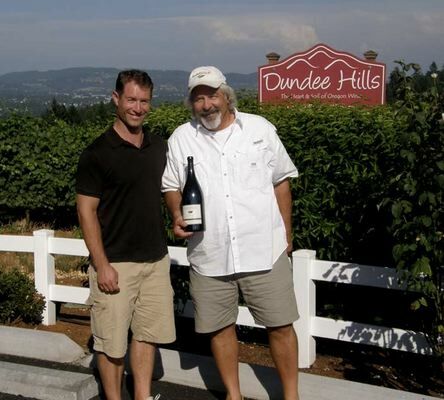 They established their vineyard and winery on a meager budget, their success coinciding with the emergence of the Dundee Hills as a world class region for Pinot Noir. Don was one of the first winegrowers in the Willamette Valley to succeed with Pinot Gris and the first to produce a neutral barrel French oak fermented Reserve Pinot Gris. His affinity with fly fishing led to the image of a fishing fly on the winery’s labels. The Mia Block (15 acres) adjacent the original estate vineyard was acquired in 2003 and first planted with Pinot Noir in 2004. Redside Vineyard (15 acres) was bought in 2006 and first planted in 2007 to Pinot Noir. All 60 acres of estate vineyards are flourishing in red volcanic (Jory and Nekia) soils. The second generation, Jesse Lange, studied enology and viticulture in New Zealand and Oregon State. He gradually assumed much of the winemaking duties and took over completely in 2005 along with the added titles of general manager and director of vineyard management. Don and Jesse continue as a father and son duo to collaborate on blending trials and other winemaking decisions. Jesse is young, athletic, chiseled and energetic, Don is more laid back with an infectious smile and laugh and a humble demeanor. The winery tasting room, with breathtaking views of the Cascade Mountain Range, is open daily. 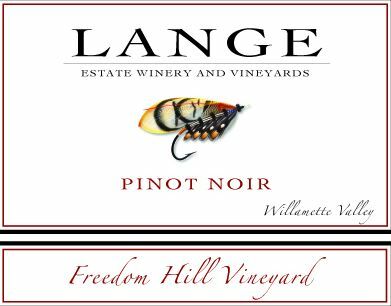 As part of the Willamette Valley’s old guard, Lange Estate wines are consistently reliable and often outstanding. Lange Estate currently produces 4 Chardonnays and 20 Pinot Noirs. A second label, Domaine Trouvere, concentrates on Rhone and Italian varietals. Visit www.langewinery.com to see the variety of tasting experiences available. The Langes recently opened a wine bar, coffee and sandwich cafe in downtown Dundee as part of the Red Hills Market complex. All Chardonnays are produced from Dijon clones: 3 acres of Estate Vineyard, 2 acres at Durant Vineyard, and 2 acres at Freedom Hill Vineyard. 65% of the Pinot Noir fruit is estate grown, with a large portion of the rest sourced from the renown Freedom Hill Vineyard.